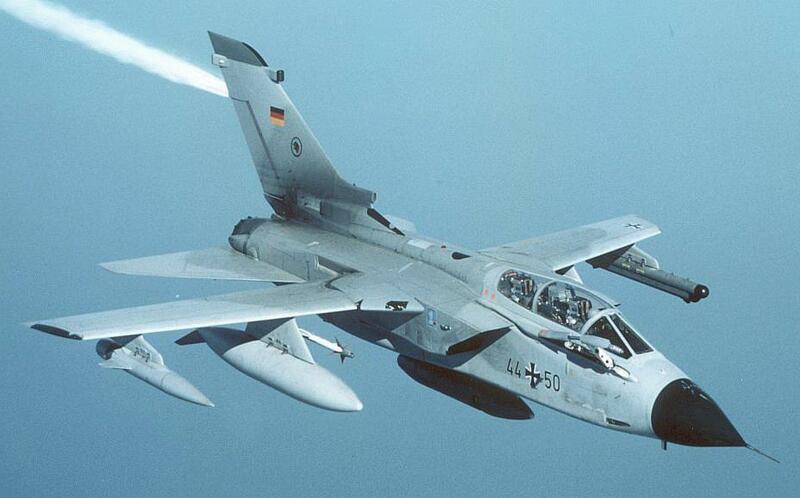 The Tornado is a 2-engine fighter jet/bomber and has been developed by 3 countries: Germany, United-Kingdom and Italy. 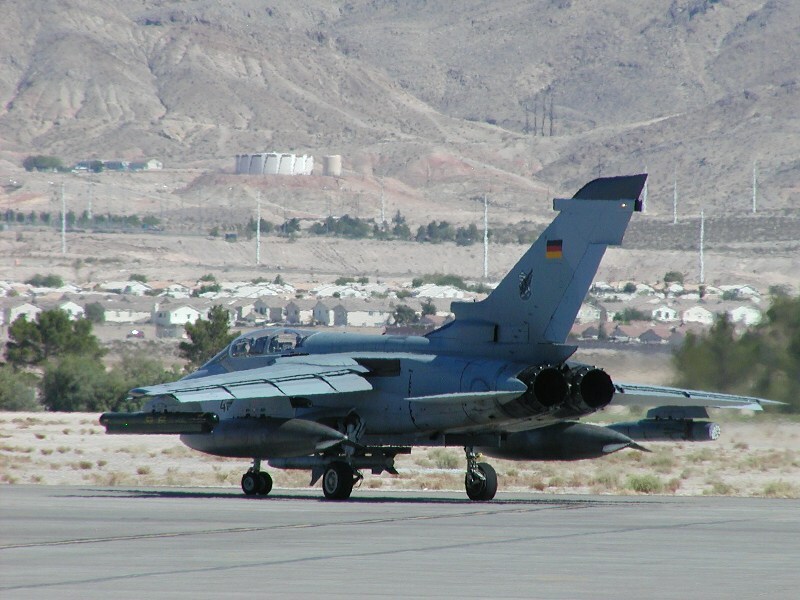 The Tornado is in use by the Air Forces of Germany, United-Kingdom, Italy and Saudi-Arabia but they are all in a different version. The Tornado GR4 has a characteristic that the wings can be turn backwards to fly more faster. Without external payload like bombs and/or countermeasures the Tornado can reach a maximum speed of more than 2200km/h. With payload the tornado flies about 1100-1200km/h. On the tip of the right wing is a Defensive Aids sub-system mounted. This protects the aircraft against Surface-to-air missiles and radar-guided anti-aircraft artillery. A special version the Tornado GR4 can be equipped with the Sea Eagle anti-shipping missile for maritime missions. The British Air Force developed his own Tornado version for air-to-surface and a Tornado version for air defence later. 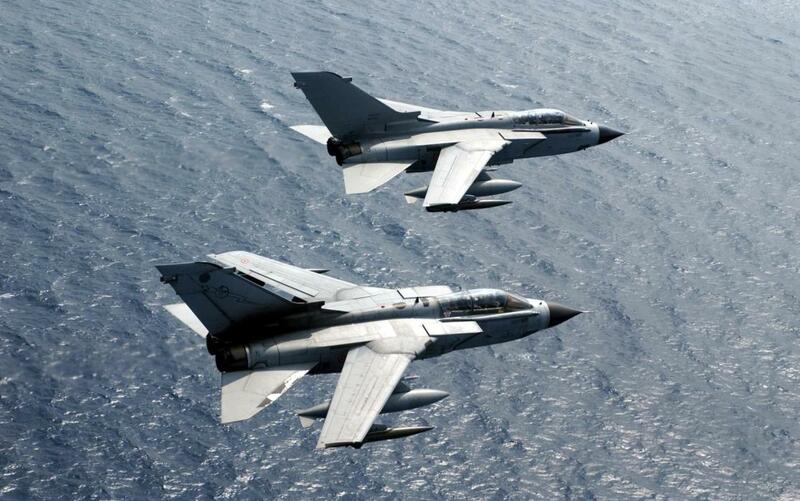 The version for air-defence is the Tornado F3 and the version for combat, the Tornado GR1 & GR4. The RAF has bought 186 Tornado GR1 aircraft in the beginning. 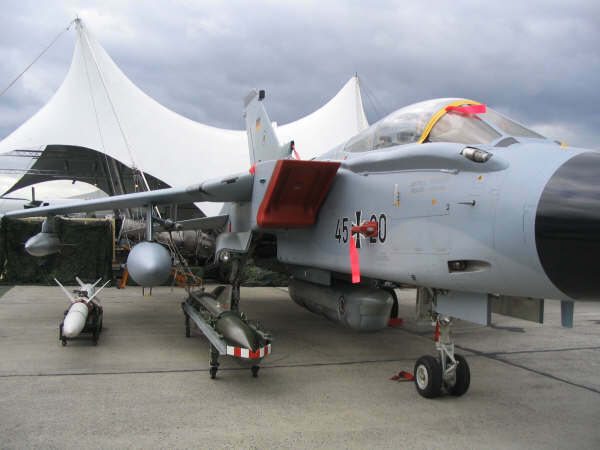 142 of them have been modernized to the GR4 version. Besides the RAF has Tornado GR4A fighter jets for reconnaissance missions. The Tornado Air Defence Variant (ADV) has been developed as a interception jet. The aircraft was meant to attack Russian bombers above the Ocean. The first Tornado ADV was called Tornado F.2 and was delivered to the RAF in 1984. 18 aircraft have been build. Later the aircraft were called Tornado F.3 The first Tornado F.3 was delivered to the RAF in 1986. The F.3 has instead of the F.2: the Foxhunter radar (during the development of the radar there were some problems so the development delayed. The F.2 does not have this radar), powerful (Mk 104) engines, improved afterburners, 35.5 cm longer, can carry 891 liters more fuel, a connection for air-to-air refueling. The Tornado F3 has replaced the Lightning and the F-4 Phantom jets by the RAF. The aircraft can also be used for suppression of enemy air-defence. The Tornado GR4 is a mid-life update of the origin Tornado GR1. It can fly supersonic speeds and fly very low. 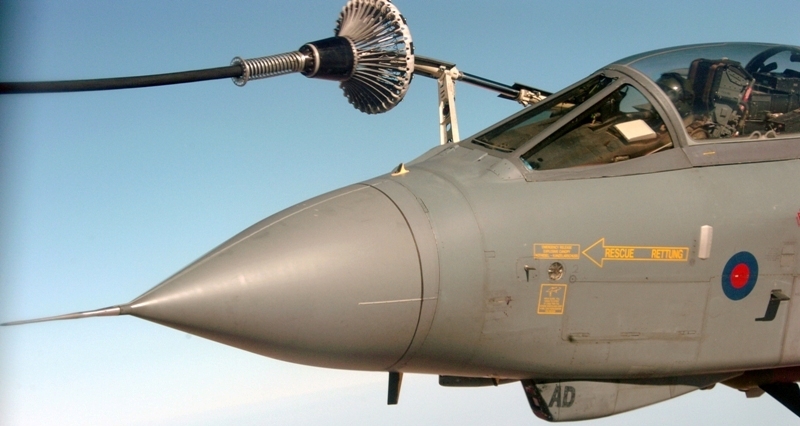 The Tornado GR4 has flow operational missions during Operation Iraqi Freedom. The RAF uses the aircraft for air-interdiction, suppression and.or attack of enemy air defence systems and for reconnaissance missions. The Tornado GR4A is a special reconnaissance version. The Italian Air Force has the Tornado IDS and Tornado ECR versions. In 1982, 100x Tornado IDS and 15x Tornado ECR were purchased.